Local authorities are to receive a £420 million investment in order to help them tackle the ever-growing problem of potholes on UK roads. Announced as part of the Autumn budget, it forms part of a wider £30 billion boost to the UK's entire transport network. Most of the funding will come from vehicle excise duty, the first time that this tax has been "ring-fenced" for use since former Chancellor George Osbourne pledged to do so back in 2015. The condition of the country's roads is currently worse than it would normally be due to the extremely cold weather we had back during the first few months of the year. Figures obtained from the RAC show that between April and June of this year over 4,000 breakdowns were due to damage caused by potholes, the highest figure for over three years. 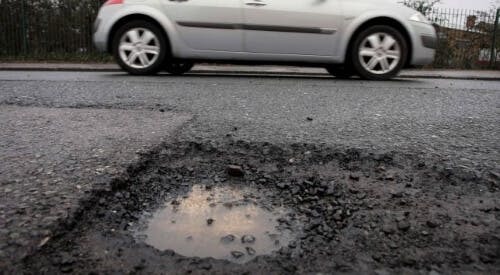 Expert at Asphalt Industry Alliance have said that it would cost a staggering £8 billion to fix all of the potholes on the UK's roads.